Heat isn't limited to the fields and courts at the University of Oregon; you can find it on the golf course as well. 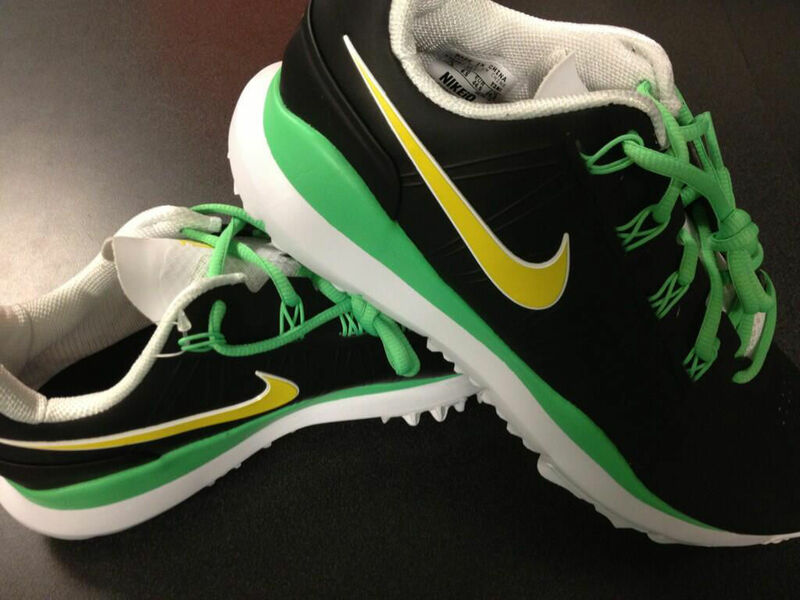 Yesterday, the Oregon Equipment Twitter account shared this photo of the TW '14 golf shoe in a custom Oregon colorway. Made using NIKEiD, the shoe features a black synthetic base, Poison Green accents, volt Swoosh branding and white hits on the inner lining and outsole. You can create a pair for yourself now at nikeid.com.